Spectacular, Panoramic Water, Golf Course, and Sky Views! Impeccably-Maintained Longstreet-Vernon Hill Plan with upgrades Galore! 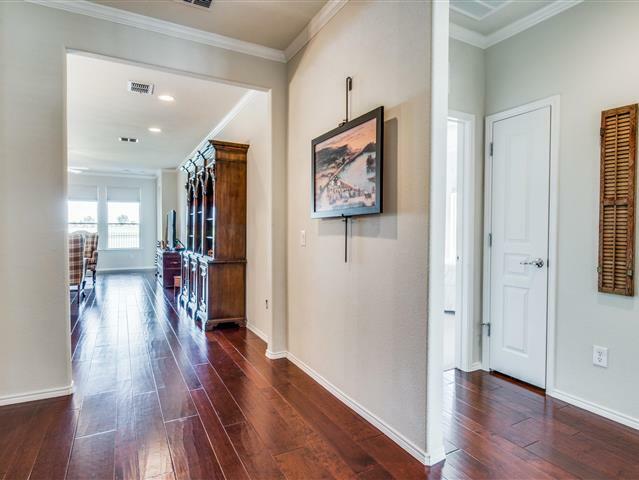 Gorgeous hardwoods in main living areas. Spacious family room with formal dining space designed with entertainment in mind. Island kitchen outfitted with stainless appliances, granite counters, gas range with double ovens, 42-inch cherry cabinets, and Bosch dishwasher. Incredible views from the charming breakfast nook! Master suite boasts newly replaced carpet in master bedroom, vanities upgraded with granite and porcelain sinks, upgraded shower enclosure, and framed mirrors. Crown molding throughout. Premium roof replacement. Recently repainted exterior. Zero-fee loan available on this listing.